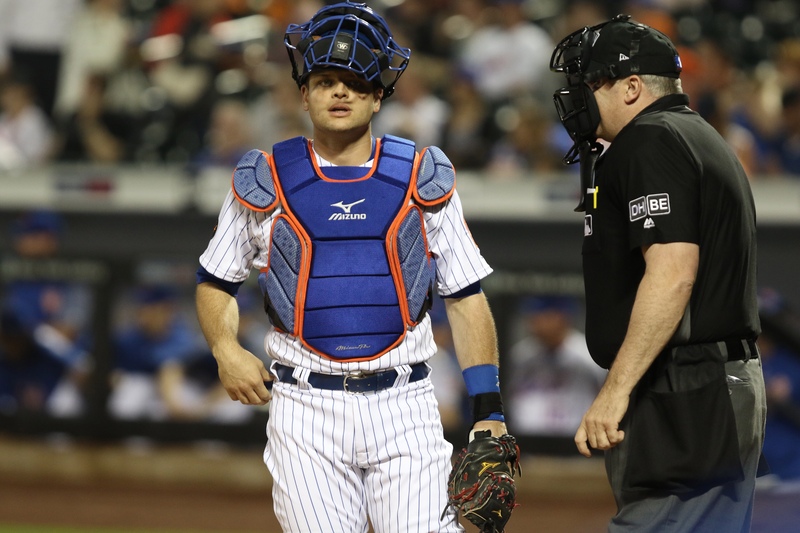 Is Mesoraco the Mets answer behind the dish? As seen on MLBTR, There hasn’t been much “talk” going on Monday a trade involving Mets catcher Devin Mesoraco, Mike Puma of the New York Post tweets, though he notes that a deal still is a possibility & could come together by the non-waiver deadline on Tuesday, it’s unlikely that the right handed catcher would be on the move for the second time this season. Especially, with the woes the Mets deal with when it comes to the extremely demanding position. Mesoraco, who was falling out of favor in Cincinnati, had already been part of one trade this year in the month of May, as he joined the Mets as the Reds struck a deal for the former Mets ace & phenom Matt Harvey. Harvey is the owner of a 5-6 record with an ERA currently sitting at 5.13 in exactly 100 innings pitched while striking out 76 batters. His career stats read as such, 39-41 with a 3.74 ERA & striking out 668 batters in 712.1 innings. However, in the last 7 games, Harvey has a 4-1 record & a 3.82 ERA in 37.2 innings pitched. While he’s not putting up “Dark Knight” numbers, it’s good to see him find himself as a pitcher instead of a hurler. The now 30-year-old catcher, Mesoraco has batted .230/.206/.393 with eight home runs in 219 plate appearances and caught 26 percent of would-be base stealers this season. He’ll be a free agent in the offseason which makes him a viable trade candidate. Especially, with the Metropolitan’s trying to restock the farm. – Update via Mike Puma of The New York Post. Gem Tablak: The Mets historically haven’t had much luck when it comes acquiring players via trade or Free Agency so it’s critical with what the Mets plan to do in this situation. It’s extremely difficult to watch an above average catcher just walk away. I would sign the catcher Mesoraco to a two year extension. Maybe the deal pans out, but hey, it could be worth nothing. If Mesoraco turns out to be a special player in the upcoming months, excellent!! Otherwise, he can always be trade bait if his contract doesn’t come with a long commitment. Previous Corné’s Cut: Who did the Mets get in return for Cabrera? Well stated Gem. A 2 yr deal, if that’s what it takes to keep Devin is a fine idea. He may have more motivation, and with stabilty surprise us, especially re: offensive production. There are little sparks with his power that shine sometimes , and offer signs of what Mesoraco might be capable of doing with the bat.